Magnesia Carbon Bricks for EAF & UHPF also known as MgO-C brick is a composite material based on MgO and C and bonded with high carbon containing pitch and resin, with some metallic powder as anti-oxidants to protect the carbon. MgO-C bricks are made by high pressure. These bricks show excellent resistance to thermal shock and slag corrosion at elevated temperatures. 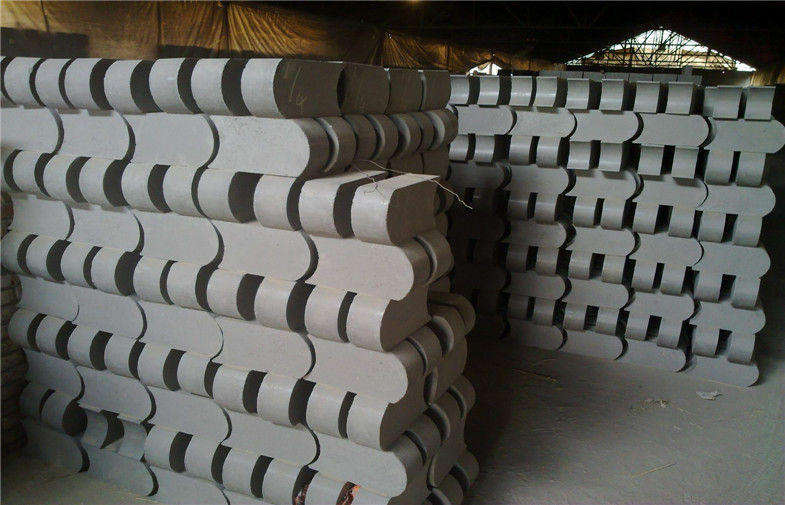 MgO-C bricks are used extensively in steel making processes especially in basic oxygen furnaces, electric arc furnaces, lining of steel ladles, etc. MgO-C bricks have dominated the slag line of ladles as they possess superior slag penetration resistance and excellent thermal shock resistance at elevated temperature because of the non- wetting properties of carbon (graphite) with slag, high thermal conductivity, low thermal expansion and high toughness. Our Experts has created this 6 Proven Methods to select the Right Refractory for your Requirement. Please check at our Blog – Selecting Right Refractory.